It’s a theme which runs right through the week. From the alabaster jar broken to lavish worship on Jesus, to the curtain which tore allowing us to reach the holiest of places. There are new beginnings springing from the brokenness. 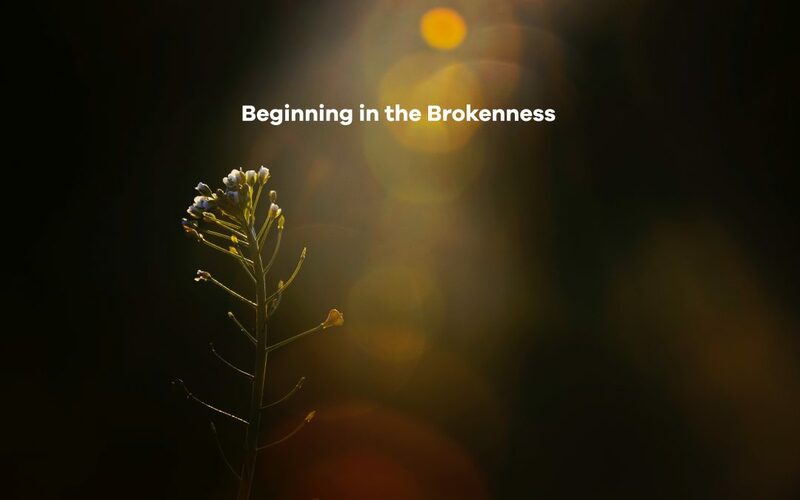 It is a part of the message of Easter; that our brokenness is not the end of the story, that sometimes our brokenness is the beginning of something new. It’s true of course, when it comes to ThinkTwice. It began in the darkest brokenness of my life – my own Holy Saturday when hope had gone and I was scrabbling around in the dust trying to collect the scattered, torn pages of my life and make sense of them. My beginning of my calling began in my brokenness. Easter is our new beginning – not just because Jesus died for us – but because He was raised to life. He walked through the darkness for us – and His resurrection brought with it the unquenchable light of hope. And so this Holy Week and Easter, as we once more retrace Jesus’ steps towards the cross, we can rest in the knowledge that our brokenness can be a beginning and that new life begins, all too often, in the darkest of places.